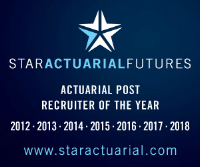 Leading global consultancy is seeking an actuarial candidate to assist their client-focused team across a number of propositions including reserving, capital and pricing projects. Along with providing technical input, you will support management to cultivate client relationships, whilst supporting other aspects of the team's work including sales and marketing, research and development, and intellectual capital. Any Lloyd’s market knowledge and experience in reserving will be an advantage, as is exposure within a pricing or capital role. Keeping abreast of regulation is also key. Contact us now for more information on this excellent career-development opportunity within a market-leading consulting business.